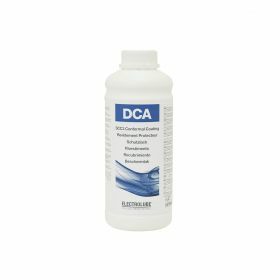 Fast-Dry DCA is a flexible, transparent & unique modified silicone conformal coating specifically designed for the protection of electronic circuitry. It has been formulated to meet the highest defence standards in both Europe and the United States. It meets the British Ministry of Defence (MOD) DEF-STAN 59/47 Issue 4, and Underwriters Laboratories UL746CQMJU2.